The team leader was called by the police to investigate a father and son who were long overdue on a walk to the summit of Scafell Pike. 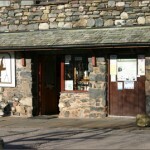 A check was carried out of the car parks and the bottom reaches of the fell path. The father and son turned up safe and well at 2355 hrs. Incident started at 22:50 and ended at 23:55 making 1.1 hrs in total.